Product prices and availability are accurate as of 2019-04-21 04:29:39 BST and are subject to change. Any price and availability information displayed on http://www.amazon.com/ at the time of purchase will apply to the purchase of this product. Mizzle Blue â„¢ are currently selling the extremeley popular Liquid Shredder Element Softsurfboard, Blue, 6-Feet 9-Inch at a reduced price. 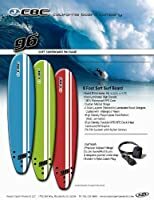 Don't pass it over - buy the Liquid Shredder Element Softsurfboard, Blue, 6-Feet 9-Inch online today! 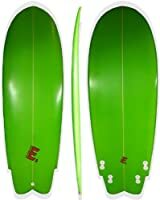 Feature0: FunShape Hybrid Soft Surfboard. Made in Peru for medium+ surf. Dimensions 6ft 9in x 20in x 2.4in and a suggested novice rider weight of 140lbs more for experienced riders. Bare board gross weight 13lbs.